The Lego games have tackled many beloved properties over the years — Star Wars, DC, Marvel, Lord of the Rings and Harry Potter, just to name a few. But while they all featured playable villains, they were typically relegated to post-story unlockable characters. That‘s what makes Lego DC Super-Villains, the latest entry in the long-running brick-breaking adventure franchise, particularly interesting. As the title suggests, you follow a gang of misfit supervillains as they wreak havoc in the DC Universe. The shift in focus to the bad guys gives the game a more mischievous and gleeful tone than ever before. This is particularly noteworthy here since the Justice League is all but gone in this story, having been whisked away to an alternate universe by the evil Justice Syndicate. As a result, your ragtag group of villains work together to try and stop the Syndicate from bringing alien god Darkseid to Earth. Stories about evil versions of the Justice League have been done many times before, but rarely are they this plain fun and charming. That’s because DC Super-Villains brings together an all-star voice cast which reunites many of the talented actors from DC’s pantheon of excellent animated series and films. Among others, Kevin Conroy (Batman), Mark Hamill (The Joker), Clancy Brown (Lex Luthor) and Michael Rosenbaum (The Flash) are all back and as great as ever. Even better, Toronto-born actor Michael Ironside once again lends his menacing tones to Darkseid for the first time since the Justice League animated series ended in 2006. The sublime voice cast adds even more life to Traveller’s Tales already excellent script, making this one of the most entertaining stories in a Lego game to date. There’s also a great deal of fun to be had in creating your own character, who takes centre stage during the story as a super-villain roped in with Lex Luthor. 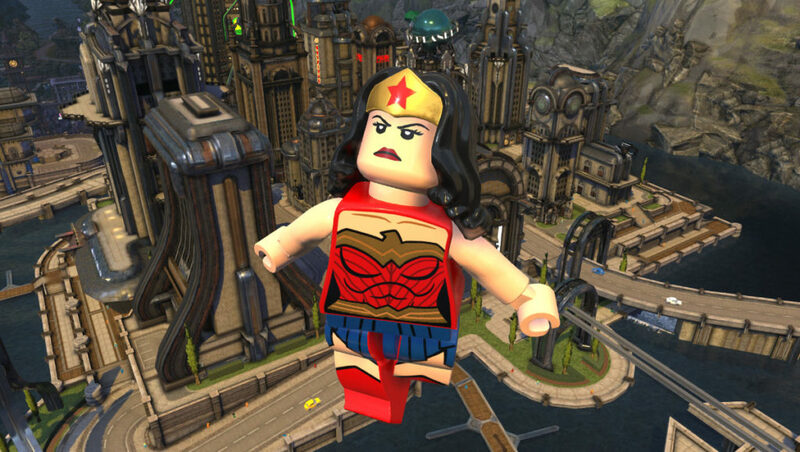 While previous Lego games have featured character creators, they were never quite as robust or, more importantly, well-integrated into the main game as they are here. The variety of colourful outfit, accessory and superpower customization options is incredibly impressive. As a nice touch, some of the other villains in the game, like Harley Quinn, will even poke fun at your original character’s silence. 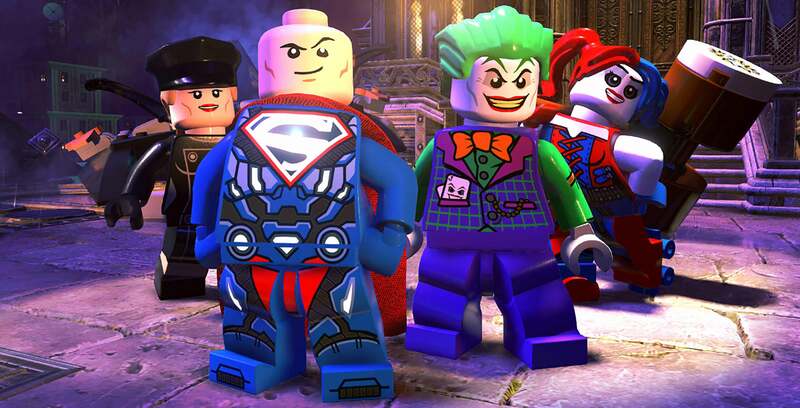 With these characters, you’ll engage in the Lego games’ signature breezy button mashing, brick-smashing combat, interspersed with the occasional light puzzle. While it would have been nice to see some new twist on the aging formula — like Lego Star Wars: The Force Awakens‘ third-person shooter-style blaster mechanics — the gameplay is serviceable and, most importantly, accessible to all audiences. 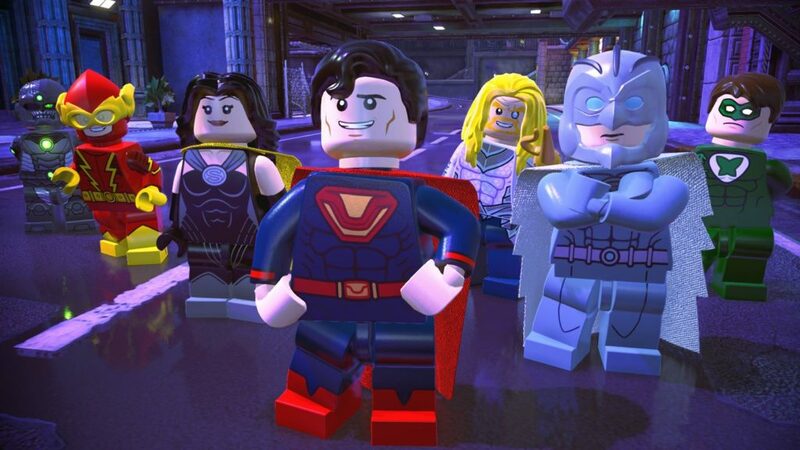 As in previous Lego games, DC Super-Villains will have you switching between various characters to take advantage of their unique abilities and progress. Just like in the other games, though, this never feels like a chore because TT Games has lovingly crafted each character with lively animations and zany attacks. It’s a testament to the strength of the game’s presentation that the repetitive and simplistic nature of combat never really sets in. Also improved from previous games is the new ability to immediately switch to the appropriate character if the one you’re currently using doesn’t have the right ability. In previous games, your character would simply shrug, requiring you to manually toggle through your roster to find who you need. This is particularly useful in Free Play, where you may be working with a roster of over 100 characters at once. To get to that point, though, you’ll have to complete sidequests in the open-world — which is a connected hub of iconic DC locations like Gotham, Metropolis and Smallville — and recruit new bad guys. All the while, your criminal actions can draw the attention of police forces in a Grand Theft Auto-esque wanted level. It’s an interesting — if admittedly odd — twist for a Lego game, but the game’s infinite lives and simple combat ensure that it never really feels tedious. In the end, TT Games doesn’t reinvent the wheel in any way, choosing instead to make sure the wheel as polished as ever. As a result, this won’t win over anyone who’s not into Lego games, but those who are will find a wonderfully fun romp filled with lovably looney characters. It’s good to be bad. 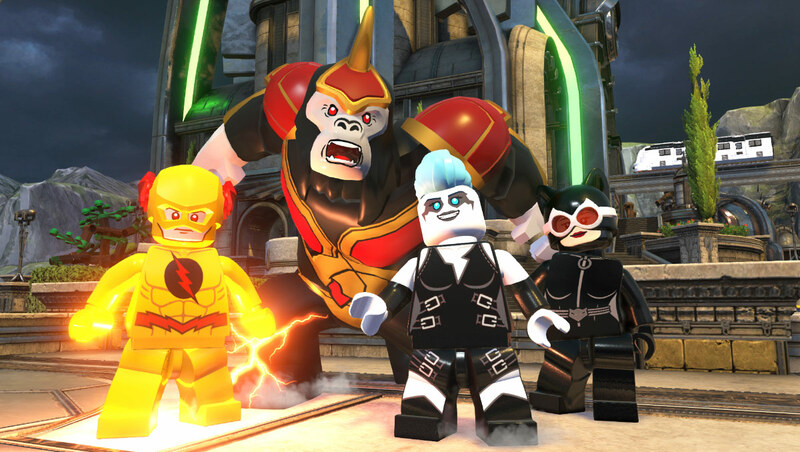 Lego DC Super-Villains is now available on PlayStation 4, Xbox One, Nintendo Switch and PC. It’s worth noting that the game is currently on sale this weekend for Black Friday for $34.99 on the PlayStation Store and $41.99 on the Microsoft Store, down from the regular $69.99 price tag.